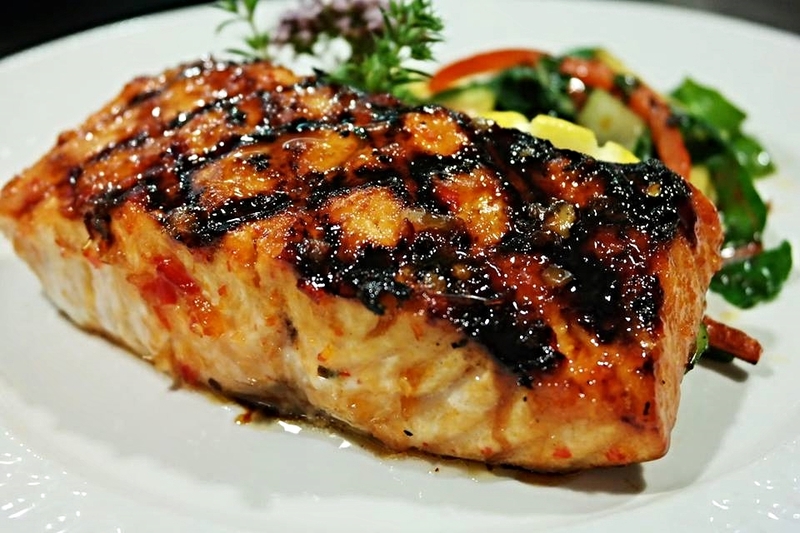 Sweet and snappy, this is the sauce that we use on our grilled salmon at Chesca's. At home, we use it on everything - chicken, shrimp, pork, vegetables and tofu. HOW TO: Get a pan or grill hot and oiled, brush on Thai Chili Glaze and put right on. Slide around a bit and it will caramelize beautifully. Chesca's house dressing. 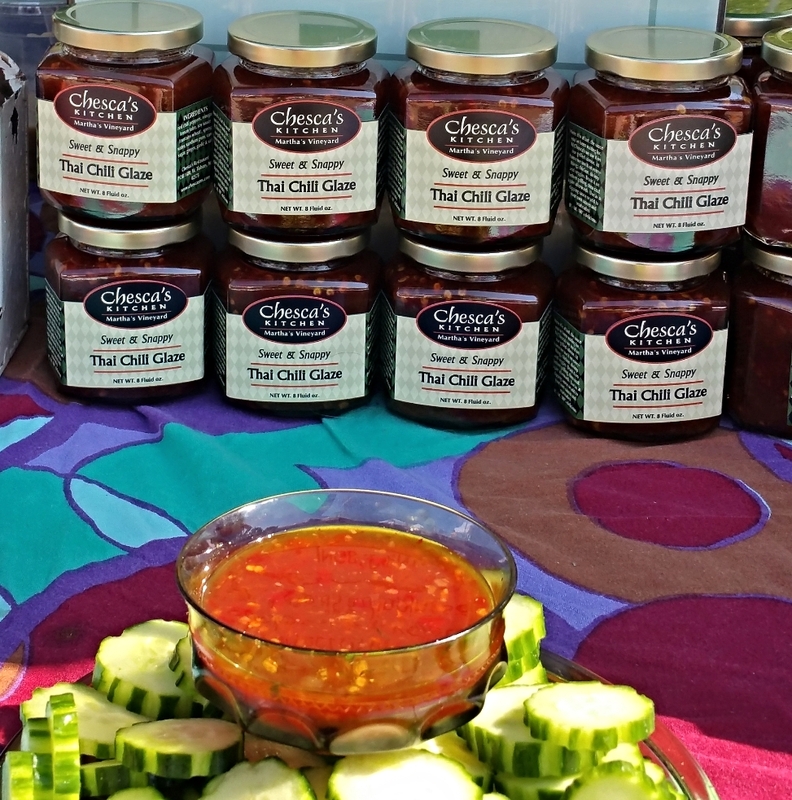 It is also a great dipping sauce for crudite and a marinade for chicken, meat and vegetables. Aged balsamic, extra virgin organic olive oil, and lightly sweetened with 100% Vermont maple syrup. HOW TO: Perfect on your favorite greens and also delicious on a chicken sandwich or as a steak marinade. Made with 100% premium Callebaut chocolate (54% cocoa). All natural, no corn starch or corn syrup. Gluten and dairy free. 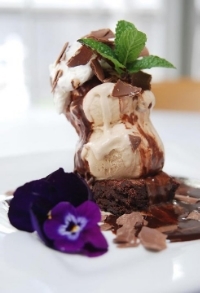 You'll find it on our brownie sundae, but people have been known to eat it by the spoonful (mmmm). Can be rolled into truffles as well. HOW TO: Store in the fridge, pop the top and microwave for 25 seconds. Perfect to pour directly on ice cream. Available at the restaurant or mail order (order via email). 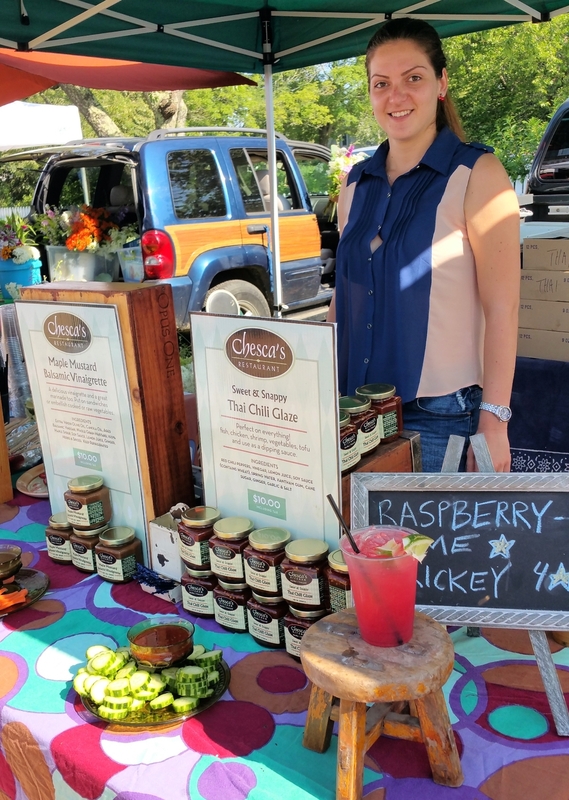 Sample some first at the West Tisbury Farmer's Market every saturday during the season. 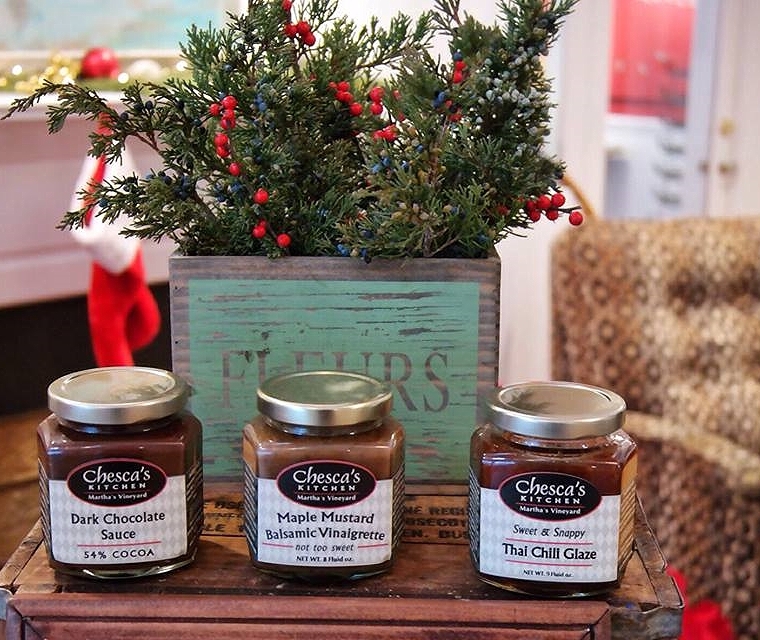 All sauces are $10 and make excellent gifts.